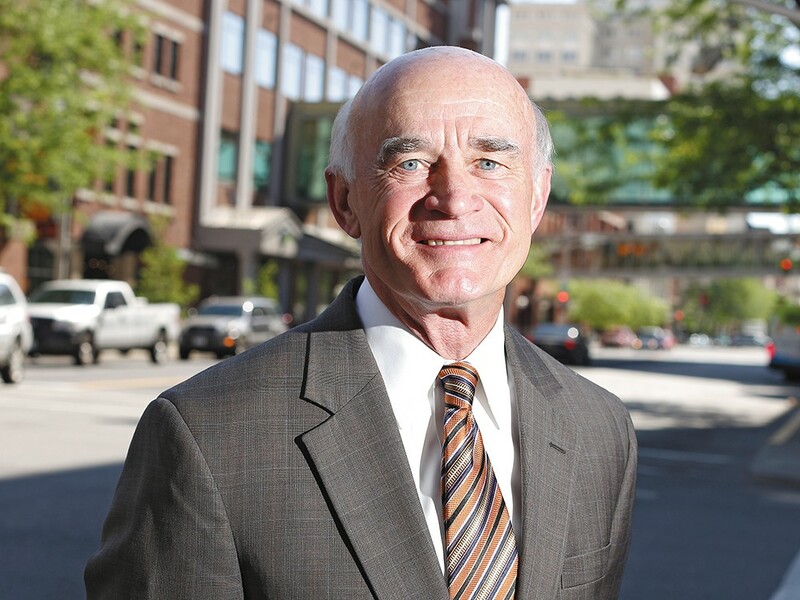 Why City Hall wants more from Greater Spokane Inc.
Rich Hadley of Greater Spokane Inc. says his agency would need more funding if it was expected to focus on retail. That night, Greater Spokane Incorporated, the region’s chamber of commerce and economic development group, was set to make its quarterly report. Scaling back the number of times the group visits council chambers is just one phase of changes City Hall is looking to make to its relationship with GSI. But first, the administration and the council will have to agree on just what it is GSI should be doing. Debates over the role of the organization are rooted in views about what jobs the region should be seeking and competition between local governments for big business and the tax dollars that follow it. As the renewal of the contract between the organization and the city, usually done by the beginning of the year, was still unfinished this July, Jan Quintrall, the city’s director of business and developer services, and GSI representatives discussed possible “deliverables” that could be written into the contract. “We wanted something that had a lot more clarity on what we expect from GSI,” Quintrall says. But when they couldn’t come to an agreement that the administration and council would both support, clarity was postponed. “You’ll see [changes] in 2014,” Quintrall says. The group has created its own list of focuses, including attracting industries like aerospace and health sciences. Now, with empty storefronts in town, the administration wants more focus on attracting retail, says Quintrall, who calls herself a “solution broker,” hired to help the administration and City Council find compromise. When trendy clothing retailer H&M moved into the Spokane Valley Mall, teenagers in beanies and skinny jeans lined up outside the storefront for TV cameras and the chance to be the first ones in the store. The frenzy could have been happening at River Park Square or NorthTown, retail boosters say. But not all council members are convinced. Sales taxes from retail shopping can be a boon to local governments as they tighten their belts, yet retail companies can push out mom-and-pop businesses — simply shifting spending to a new store instead of creating new tax revenue. And the jobs often pay less than work in manufacturing or technology. But what if there were more dollars to spend? Today, if retail businesses are interested in the area, GSI will answer questions or connect them with developers, but it’s not taking the same lusty, targeted approach it took with industrial giant Caterpillar, which opened a distribution center on the West Plains earlier this year. Quintrall says her department can’t afford to increase GSI’s budget in 2014, but she hopes to in 2015, though she’s unsure by how much. She says until then she would replace another of GSI’s current priorities in the city contract with retail development (rather than adding onto their responsibilities), but wouldn’t elaborate on what might get bumped from their list. GSI’s $3 million budget comes primarily from member businesses, but about half a million of that comes from the state, county and cities in the region. Today, as Spokane considers asking the organization to work on a new priority, the city’s funding of GSI is two-thirds what it was five years ago. Stuckart says he doesn’t foresee an increase in city support. Self-labeled “unabashedly pro-business,” City Councilman Steve Salvatori says he’s long supported more funding for GSI and wants to see them go after retail all over the city by contacting big regional stores and selling them on Spokane. Salvatori says good jobs in aerospace and expansion of big box stores “are not mutually exclusive,” and GSI isn’t the city’s only way to reach out economically.